At the opposite end of Kennedy Plaza from the historic Soldiers & Sailors Monument, The Avenue Concept unveiled a new public art installation from internationally renowned Rhode Island artist, Peruko Ccopacatty on February 5. 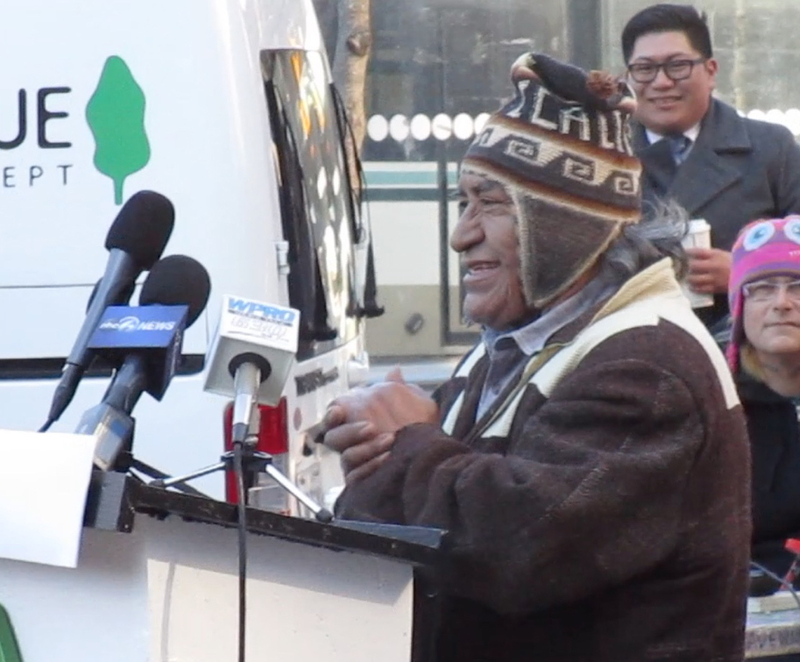 At the ribbon cutting ceremony, Peruko Ccopacatty spoke of walking through Kennedy Plaza 20 years ago, and dreaming of his art in this public square. At the time, he made models of his vision and presented his idea to the city. Despite interest from the administration, his idea never came to fruition. “I never lost that dream, the dream was always with me,” said Ccopacatty as he spoke to the gathered crowd about bringing this project to fruition. He reflected that perhaps it hadn’t been the right time or the right generation for this work, but today it finally is. “Installing public art in Greater Kennedy Plaza builds on my vision for this communal space to serve not just as a place to catch a bus – but as a socially vibrant civic heart of our city,” Mayor Jorge Elorza said before announcing February 5, 2018 as Peruko Ccopacatty Day in Providence. For a glimpse of what goes into creating these large scale works, watch this video created by The Avenue Concept of Peruko in his studio. 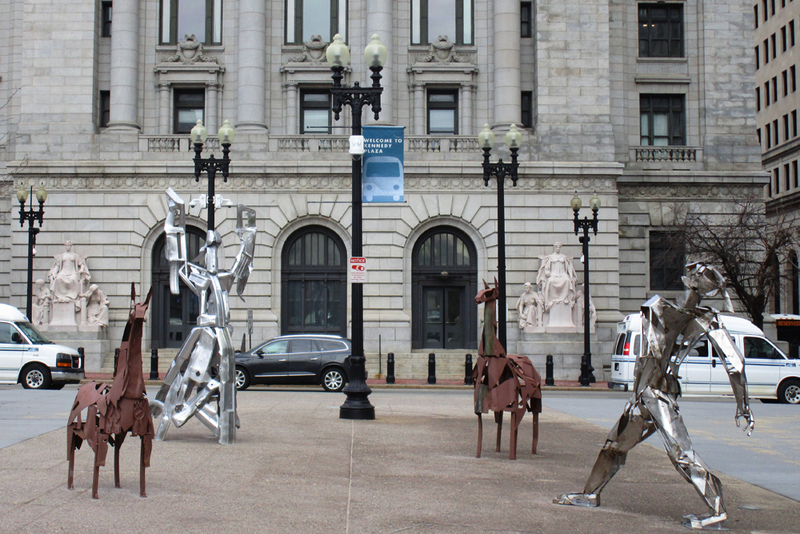 This work is located in Kennedy Plaza, near Exchange Street, and is accessible to the public 24 hours a day.